To all my American friends and readers I wish a very happy Independence Day. Eat a lot and have a relaxing day among loved ones! This entry was posted in Ramblings and tagged Fourth of July, Fragrance, Independence Day, July 4, Perfume. Bookmark the permalink. 17 Responses to Happy Fourth Of July! A good idea to celebrate an American perfumer on that day! Happy 4th of July to all my ‘fume friends across the pond! Happy 4th everybody! Even if you don’t celebrate anything, have a great day! I will be spending a few hours with my in-laws. Enough said. Have a great day too, dear poodle! Here in Philadelphia, the 4th is always a week-long celebration culminating in a free outdoor concert and fireworks over the art museum and river. At my house, it’ll be a buch of crazy people eating grilled turkey burgers, corn on the cob, and potato salad – all washed down with English Ale. Today it’s quite muggy here so I’m wearing something green and citrusy; Frank Los Angeles, number 1. That sounds lovely! Have a great weekend, Keith! 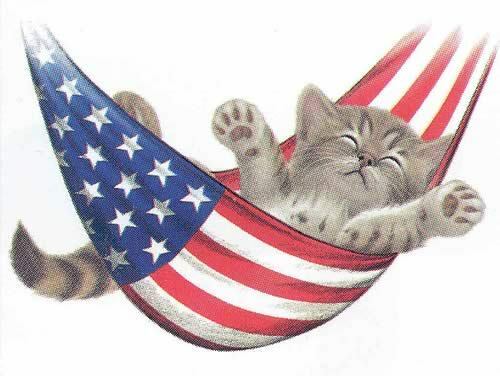 Thank you for the Happy 4th of July wishes, Birgit (and Tara)! Sigrun sent me some Guerlain Mayotte, and after my run and shower, I’m going to wear it to a party we’re going to. It seems a good match for our tropical weather lately! Mayotte is perfect for a warm evening spent outside! Have fun, Suz! Clive Christians C for Women. I figured I’d go with a British perfume to show there are no hard feelings after 237 years. :). Happy 4th! I’m wearing my sample of CB I Hate Perfume’s Outside, because we’re gonna be watching the fireworks outside.